In–house manufacturing of electroluminescent backlighting for keypads is ETS’ latest addition to their range of membrane switches. An Electroluminescent lamp (EL Lamp) is a capacitor that emits light when an AC voltage is applied to it. It is a layer of phosphorescent material sandwiched between two electrodes. When a strong AC voltage is applied across the EL lamp electrodes, a changing electrical field is generated and the phosphor glows. 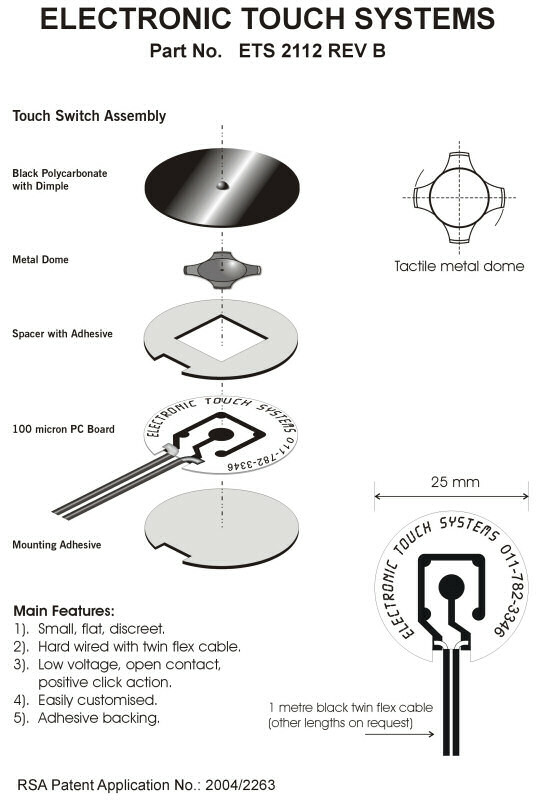 An EL lamp can be characterized as a “light emitting capacitor.” The EL Lamp is constructed as an integrated part of either a tactile or non-tactile membrane switch which allows the customer the freedom to dictate the areas that require lighting. For further information, please contact Electronic Touch Systems.